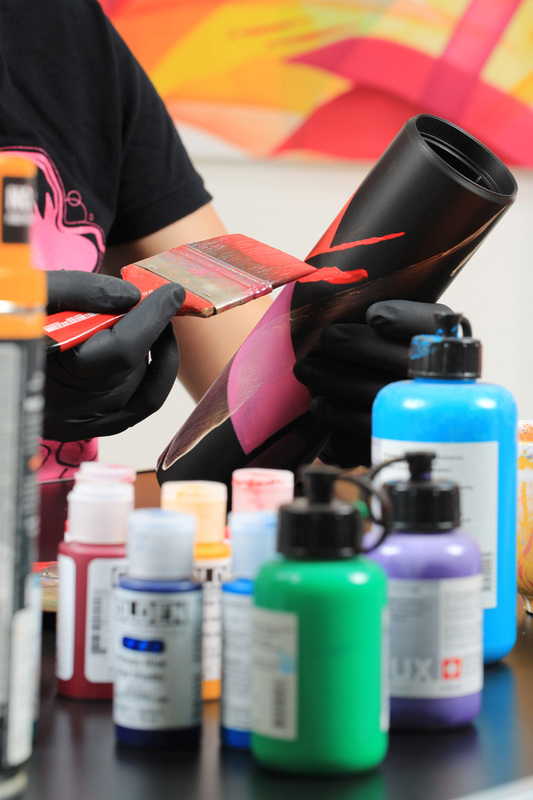 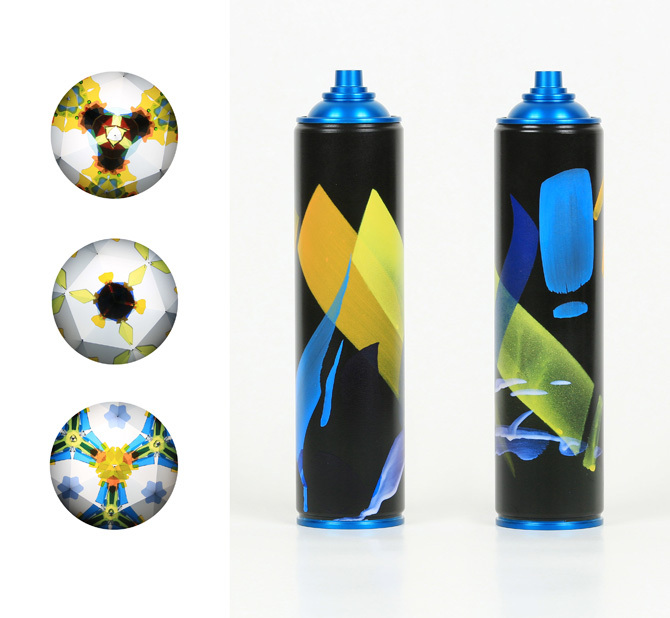 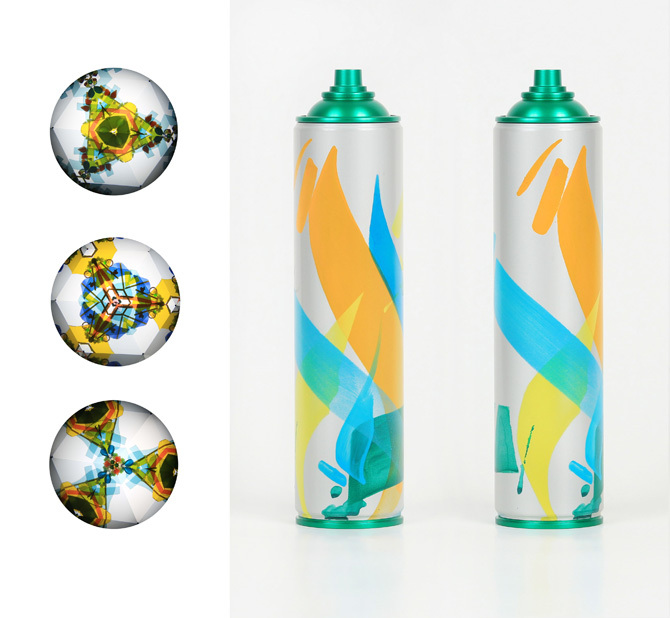 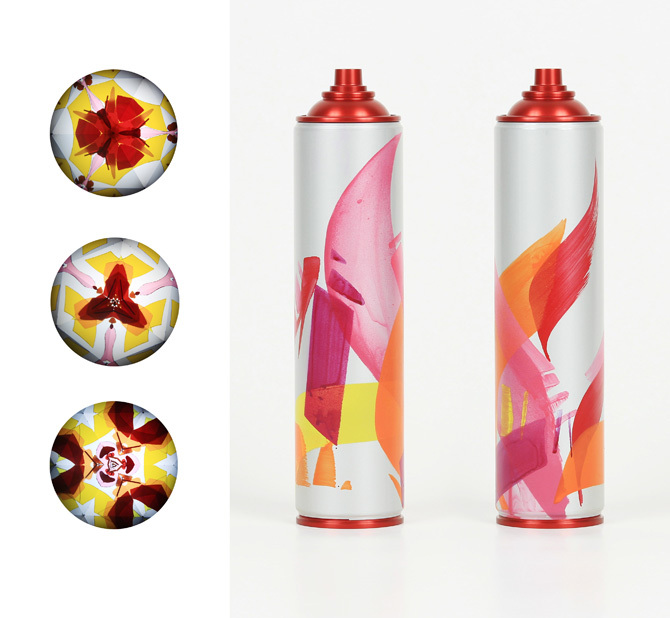 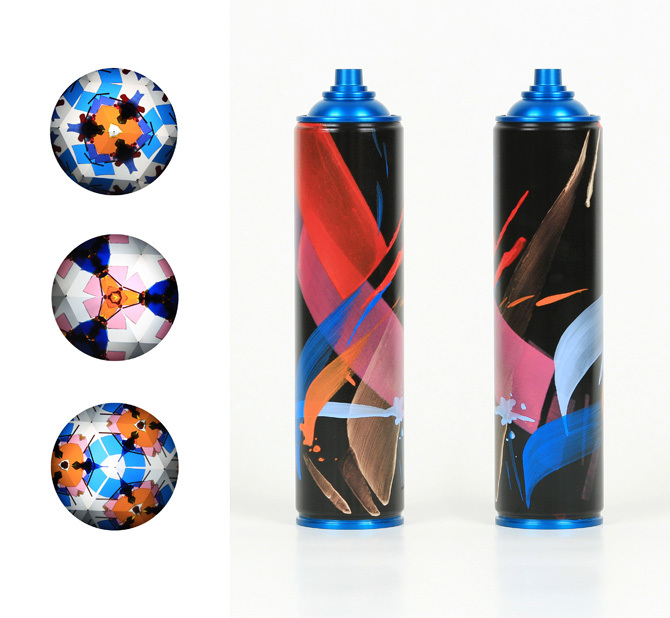 „The idea for the Kaleidoscope cans is based on the transparent, glass like layers of MadC’s canvases. 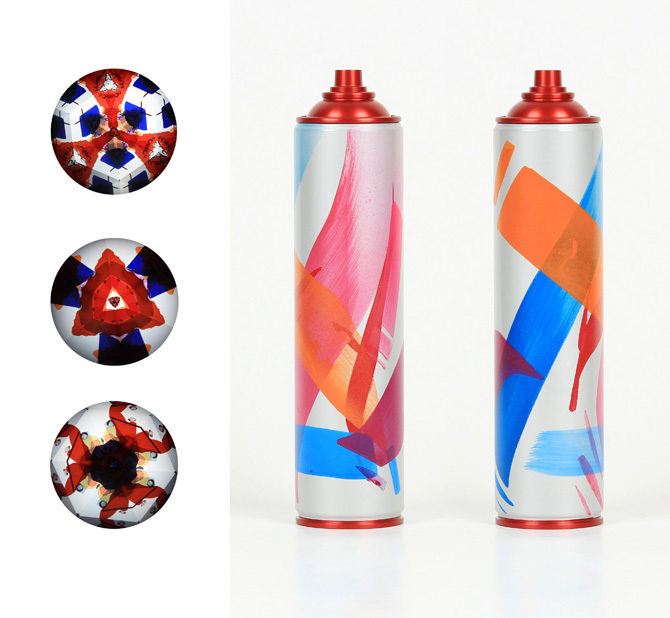 They too combine the strong and the fragile in one piece. 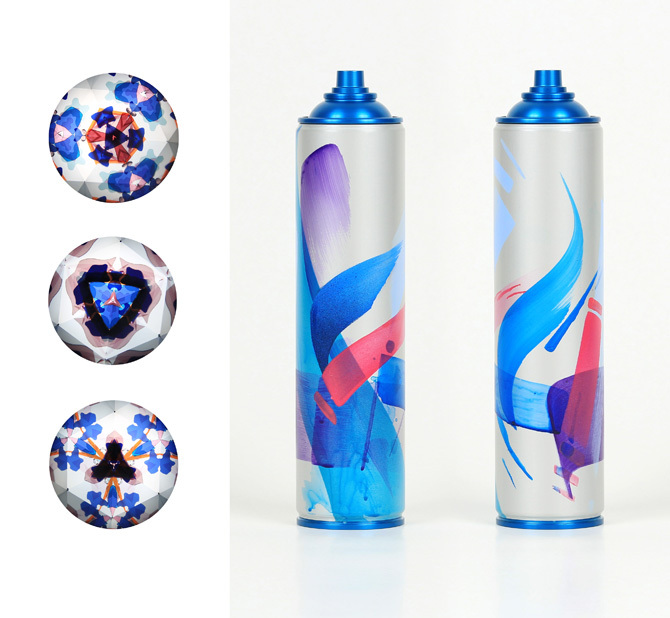 What happens by chance is combined with well thought through elements of calligraphy, taken from the canvases and transferred into hand cut pieces of thin coloured glass. 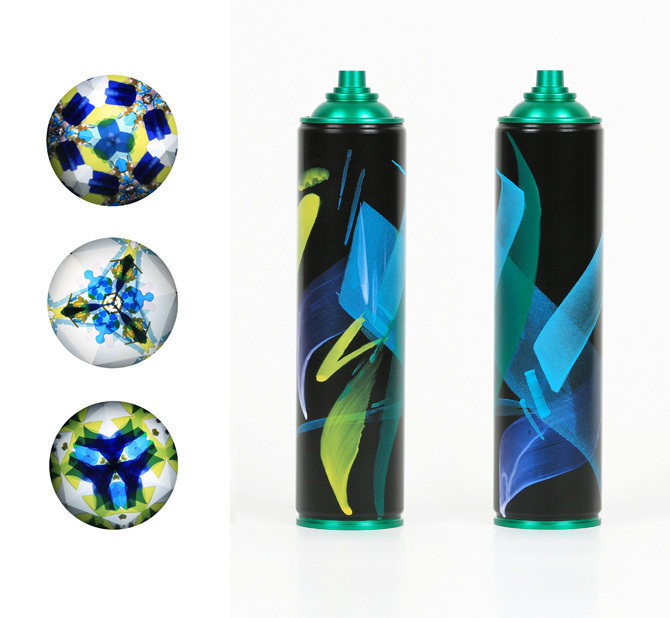 When the Kaleidoscope is directed towards the light, the shapes are being reflected in the mirrors to create images in endless variations. 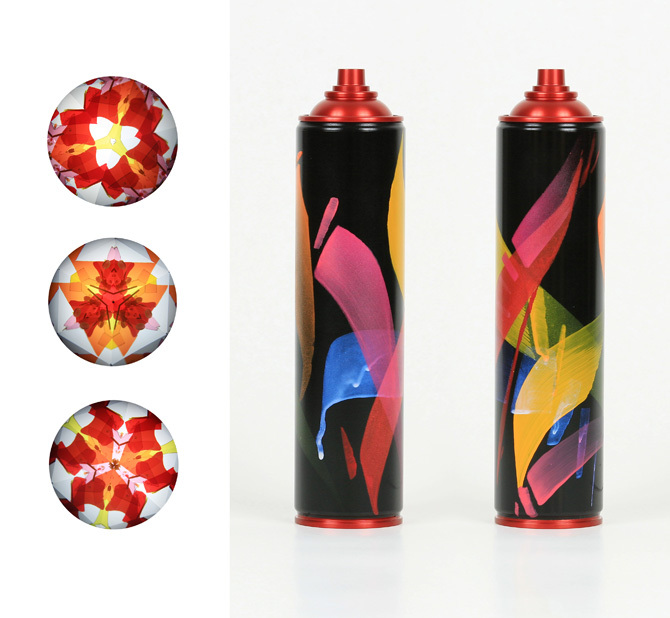 If you want to see it for yourself, visit the Kolly Gallery in Zurich until 4th of October 2014. 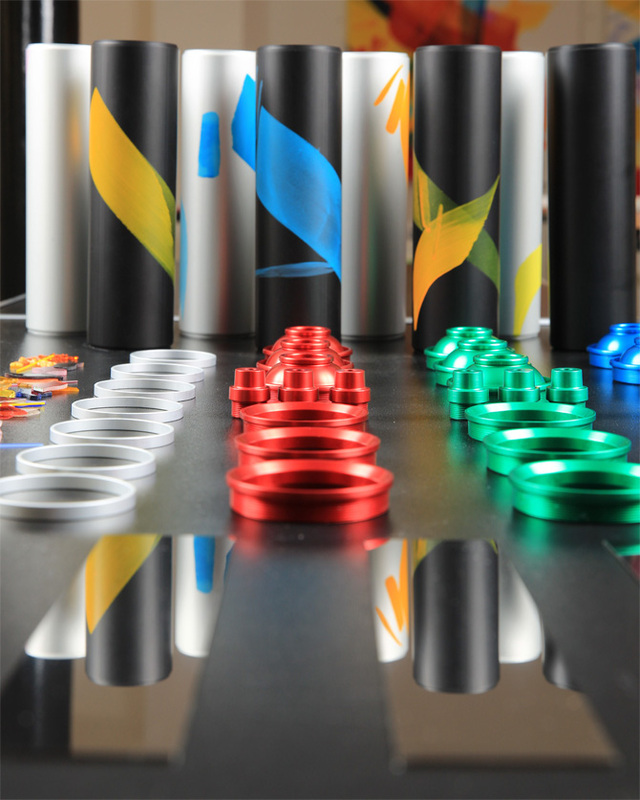 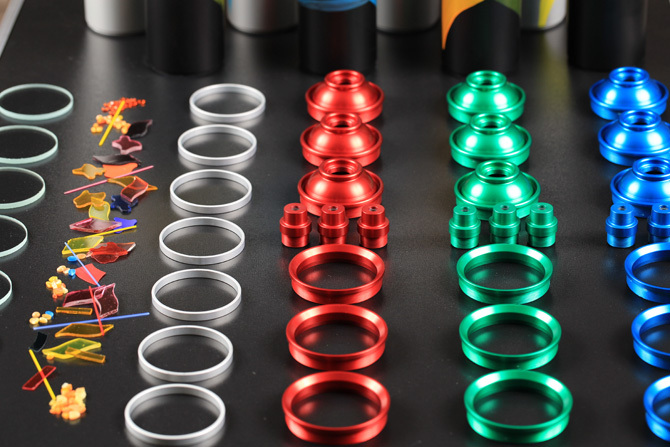 Below you find a little video that shows the making of and a view inside of the Kaleidoscopes.